Music | Rami Gabriel, Ph.D.
Rami Gabriel composes original music within and across traditions, he also performs professionally on Oud and Guitar. 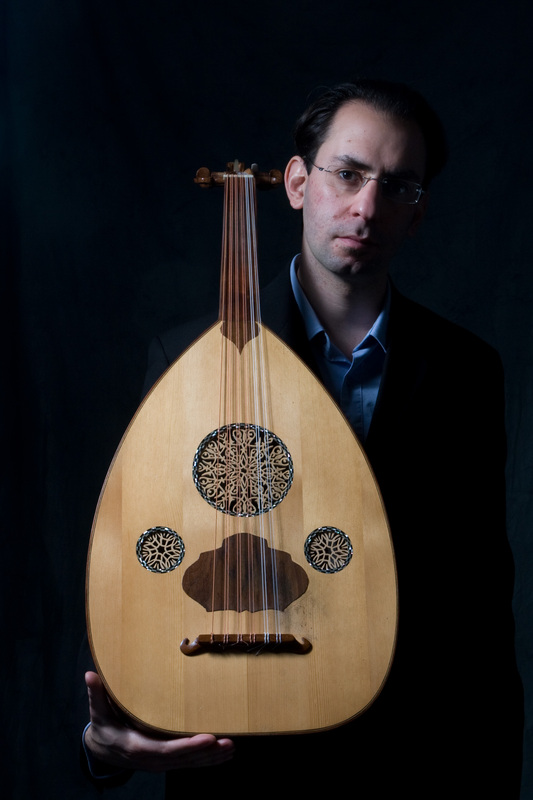 As an oud player, Rami studied with Dr. Scott Marcus, Dr. Eric Ederer, Dr. Alfred Gemil (Cairo), Osama Zeadan (Cairo), Mehmet Bitmez (Istanbul), and William Shaheen. His repertoire draws from Middle Eastern Classical, i.e. wasla and taqsim, traditions. He also performs repertoire from the Golden age of Arabic popular music in takht or solo settings. On the acoustic guitar, Rami performs early jazz and country blues. You might catch him at the Green Mill with Alfonso Ponticelli and Swing Gitan. Past performances include: Disney Hall in Los Angeles, CA (Glenn Branca, Symphony 13); WBEZ Chicago Public Radio; Chicago World Music Festival; Green Mill cocktail lounge; Chicago Cultural Center, The International Society for Improvised Music conference, the Midwinter, Summer and Art in the Barn Midwest Gypsy Swing fests in Madison, WI. Old Town School of Folk music – Maurer hall, The Hideout, The Empty Bottle, Rosa’s Blues Lounge, Mayne Stage. The new album, Arabic Xhaman was supported by an Illinois Arts Council Independent artist grant, it traces an auditory trajectory between tradition, innovation, and assimilation. This album brings together traditional music and improvisation. The inspiration for the project stems from contemplation of how the call of tradition receives multifarious responses from diaspora immigrant communities. Musicians on this album include: Ozod Tursunov (tar, tanbur), Miles Jay (Inanga, bass), Tim Mulvenna (percussion), and Ronnie Malley (percussion). Pick up Arabic Xhaman here (also available on all digital platforms). In production are original soul country rock n’ roll songs by Rami and the Reliables — Alex Hall, Casey McDonough, and Scott Ligon – recorded at Reliable recorders in Chicago. Hear a couple tracks here. His record of original compositions and Jazz standards, Guitar for a living, was released in June 2017, Musicians on the album include: Stephen T. Asma, Nick Coventry, Jonathan Doyle (on jug), Alex Hall, Miles Jay, Scott Ligon, K.C. McDonough, Joel Paterson, Jake Sanders, and N. Shawaf. Dr. Gabriel was the 2015-2016 Fellow at the Center for Black Music Research (CBMR), where he studied links between Arabic music theory and African precursors to American blues. In Summer 2016, Rami created three pieces from archival materials entitled, The Sound of the Black Archive in Chicago under a Black Metropolis Research Consortium summer fellowship using field recordings as well as sounds from archives at University of Chicago Special collections — Jazz institute, Harold Washington public library, and the Vivian Harsh Collection. In Care of (2016) is a set of original new world Arabic compositions, it features Miles Jay on bass and lyra, Nick Coventry on violin and viola, Ronnie Malley on percussion, Alex Udvary on cymbalom, and Alfonso Ponticelli and Jake Sanders on guitars. In 2014-2015, Rami received an Illinois Arts Council grant to record original compositions merging Arabic music with Chicago blues. Oud blues & New traditions is an album of compositions that draw from melodic and rhythmic elements in classical Arabic and Turkish music, as well as rhythms, feels, and riffs drawn from American country blues and traditional jazz. The album stands as a testimony to the vitality, diversity, and openness of the musical community in Chicago. From 2008 – 2013, he was a member of Swing Hakim (2011 album). 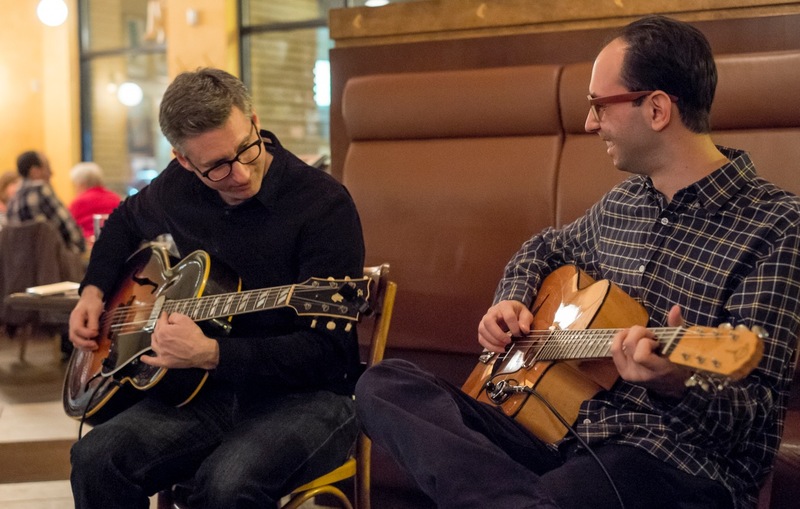 As a guitar player, Rami performs and composes Early American Jazz and Blues. For the full collection, visit my band camp page.